Do you have a ton old stuff cluttering up your house? The summertime is the perfect time to clean it out. But, who says you have to throw out useful things? 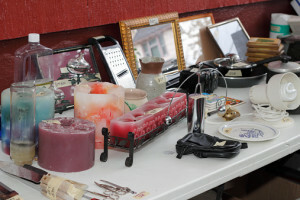 Follow these garage sale tips to turn the items you’ve accumulated throughout the years into cash! If nobody knows about your garage sale, nobody’s going to show up. You need to channel your inner Don Draper and get some advertisements around the neighborhood. No, you don’t need billboards and taxi-top ads to have an effective garage sale. Instead, put up some flyers around town, get it listed in your local newspaper, make a Facebook event and put it on Craigslist. Our advice about pricing is one of our most important garage sale tips. 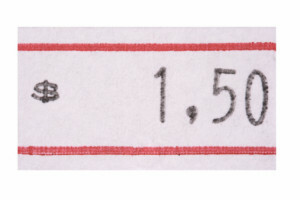 Be reasonable when pricing items. A garage sale is your last effort to sell a bunch of stuff you would otherwise donate or throw away. People attend garage sales in search of bargains. Chances are, nobody’s going to garage sales looking to spend $500 on furniture. If you have something you’re not willing to part with for a small sum of money, it’s probably best not to include it in your sale. Also, make sure there’s a price tag on every single item, so there will be no surprises when people decide to buy them. Having a bin of free items with a large sign in front of your sale is a great way to attract customers, even though you won’t make money from it. If your garage is littered with things you want to get rid of, don’t just open it up to the public and let them sift through it. Organize your items in your driveway, on your front lawn or wherever else you plan on holding your sale. For ideal organization, you’ll want to place similar items together. For example, a blender should be placed near that old waffle maker you got for your wedding and never used, while old DVDs should be placed with video games. Grouping items that come in sets is a good way to clear out several items at once as well as maintain organization. If you’re selling a set of kitchen cutlery, bagging it up and selling it as a whole is a lot more convenient and clean than selling forks, spoons and knives individually. Make sure you run to the bank and get adequate change. If you’re selling items for 25₵ a piece, you’ll need to be prepared to give back $19.75 in change when someone breaks a $20 bill. This is one of the most slept-on garage sale tips. Don’t be afraid to play a little background music, serve light refreshments or add some decorations to your garage sale. Sure, you’re not opening up an actual store, but you still want a friendly atmosphere to help customers feel welcome. During the garage sale, make sure you’re friendly to shoppers. Greet them, offer them a refreshment ask if they’re looking for anything in particular and make conversation, but don’t be too overbearing. Let them browse your selection. If they have any more questions, they’ll come to you. People will try to haggle with you, but you don’t have to sell the chair you have listed at $20 for $5 to the first customer. There’s likely someone who’ll come along later in the day who’s willing to pay your listing price. It’s unlikely that you’ll sell every last thing at your garage sale. If you have leftovers, you can give them away for free or donate them. What many providers of garage sale tips fail to mention is that donation of your leftovers is not only a kind act, it can be written off as a tax deduction.